Ambassador Nina Hachigian is the Deputy Mayor of International Affairs for the city of Los Angeles. From 2014 to 2017, she served in the Obama administration as U.S. Ambassador to the Association of Southeast Asian Nations. 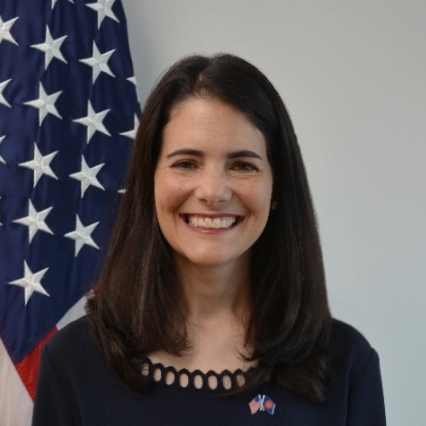 Previously, from 2007 to 2014, Ambassador Hachigian was a senior vice president and senior fellow at the Center for American Progress (CAP), with a focus on U.S.-China relations and Asia policy. Prior to CAP, she was a senior political scientist at RAND Corporation, serving as the director of RAND's Center for Asia Pacific Policy. From 1998 to 1999, she served as a special assistant on President Clinton's National Security Council. She is a board member of the Pacific Council on International Policy, a member of the Council on Foreign Relations, and a founder of Women Ambassadors Serving America. You can follow Nina on Twitter at @NinaHachigian.